This week I'm taking a look at five of my favorite games new and old, available at the store and absolutely worth checking out. 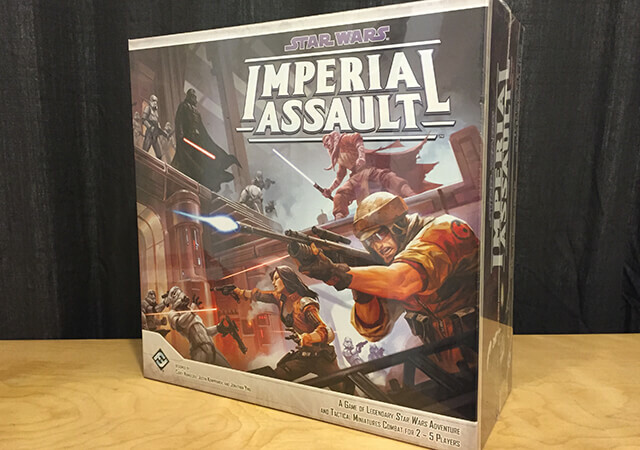 Star Wars: Imperial Assault is one of the most massive games you'll find set in the Star Wars universe. This game, like many RPG's and the board game Descent, has one to four players take on the role of rebel adventurers playing against another player who controls all of the "baddies"—monsters and imperial troopers, even Darth Vader himself. Everything from the adventures, to the expansions available, to the level of detail in the sculpted miniatures really sets this game apart from others like it. 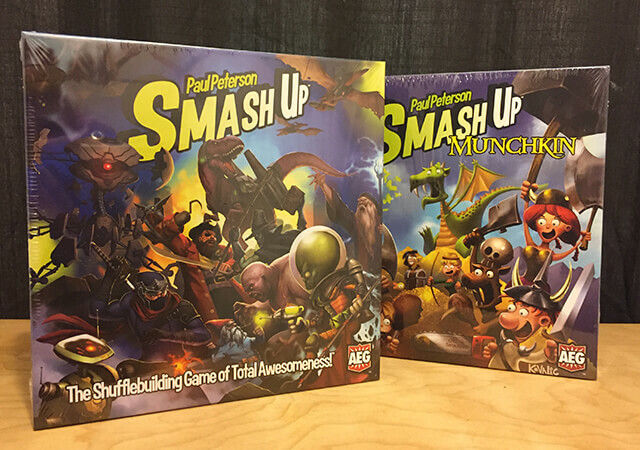 Smash Up describes itself as a "shufflebuilding" card game, where each player chooses two small decks of cards belonging to separate factions and shuffles them together. The question is: who will you smash together to fight against your opponents? Will you team up Zombies and Ninjas? Aliens and Dinosaurs? And the expansions aren't just fluff, with new factions based on sci-fi, mythical heroes, and just plain awesome-ness. This game is fast, easy to understand, and great for goofy crowds of friends. Whoa, Giaco... Another Star Wars entry on this list? You're mad with power! 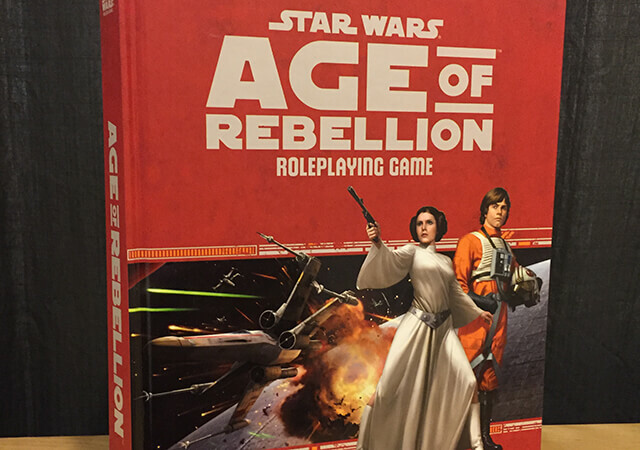 True, but Star Wars: Age of Rebellion is one of the best roleplaying games I've played in years. Featuring easy-to-grasp rules (that are also used in the Star Wars RPG's Edge of the Empire and Force and Destiny), this game sets players and Game Masters in the center of the battle raging during the original trilogy. While Han, Luke, Leia, and co. are off freezing on Hoth or blowing up Jabba's barge, you'll play as lower-ranking rebel soldiers trying to steal secret plans and investigate rumors of Imperial hide-outs. The other RPG's in this series mentioned above are great, too, but nothing feels better than donning that bright orange jumpsuit and blasting away at a bunch of fool stormtroopers. The leaves are changing here in Brooklyn, pumpkins are beginning to appear on the stoops of brownstones, so naturally I'm getting truly into the spooky mood. 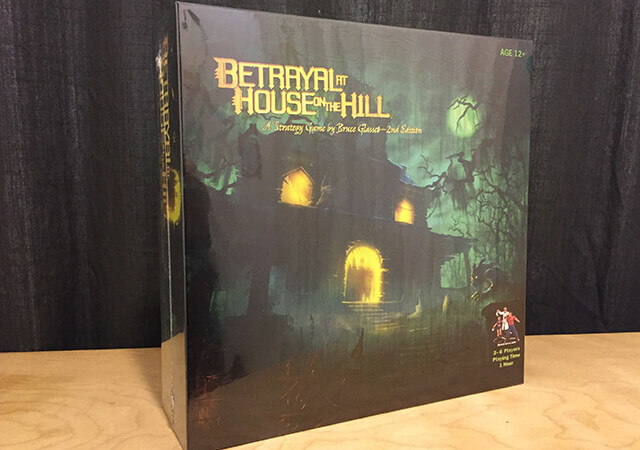 And when Halloween season roles around, I really only want to play Betrayal at House on the Hill, the amazing semi-cooperative board game from Avalon Hill. In this game, players work together to search a creepy haunted house (generated randomly from hidden tiles revealed as you explore) for secrets and treasures, but when a random event called the HAUNT is triggered, one or some of the players will be revealed to secretly be a traitor. From there, the game turns on its head and is a frenzied race to survive at the House on the Hill. Why do we need two sushi-themed card-drafting games? Because sushi is delicious, and card-drafting games are the best... duh! These two sushi games will appeal to different tastes. Sushi Go is all about building the best plates of sushi, and it involves split-second decision making and planning ahead. Sushi Draft is much lighter, and better for kids, featuring large, round cards that can either be "Eaten," "Stored for later," or "Passed." 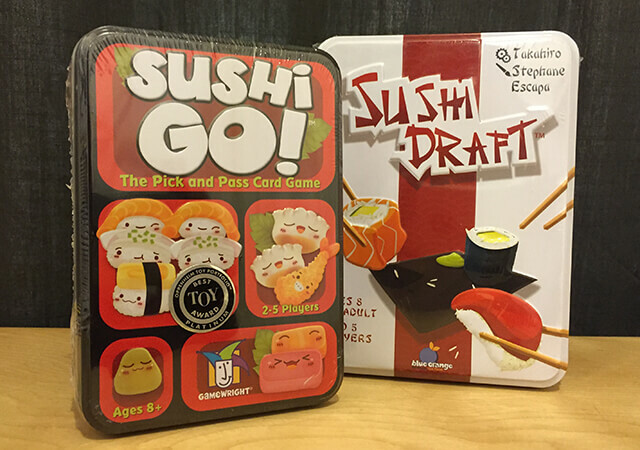 So, do you want build the perfect sushi plate with Sushi Go? Or do you want to stuff your face with Sushi Draft?